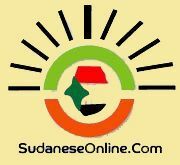 Khartoum-Sudan has strongly criticized the statements made by the spokeswoman for the US State Department, Marie Harf, about participation of Sudan's delegation in the African leadership forum in New York on the sidelines of the UN General Assembly. "We condemn any potential effort by President Bashir to travel to New York." the statement stressed that the U.S. government is not qualified morally, politically or legally to give any lessons or recommendations in respecting the international law or human rights in the light of its bad record of war crimes and genocide against entire peoples and its recent was against Iraq in 2003 and killed more than a million Iraqis. The statement noted that the United States is not a member of the International Criminal Court (ICC) and openly opposes it, pointing out that U.S has signed bilateral agreements with ICC Member States to exclude its citizens to appear before the Court.